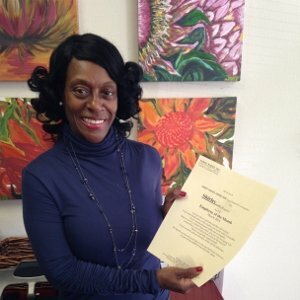 Shirley has been with Hired Hands for over one year and brings with her Thirty Five years care giving experience! She always has a smile on her face and brings positive energy when she walks into a room. She really enjoys giving back to her clients and making them feel good about themselves. Shirley is an excellent cook and has shared her delicious home made cooking with many of her clients. Shirley is very compassionate as well as intuitive and stays tuned in to our clients needs and well being. Shirley was very excited to receive Employee of the Month Award and said it felt so good to know that she is appreciated.